Our newly revamped Marino Room and Boardroom are perfect spaces for small meetings of 2 to 20 delegates who need an inspiring space with privacy and good service close at hand. The Boardroom is equipped with a table to accommodate 14 delegates in boardroom style and a sleek drop-down screen and LCD projector with all necessary connections available. A self-service food and beverage area in the room allows for quick delivery of your required refreshments while you work with your colleagues in privacy. 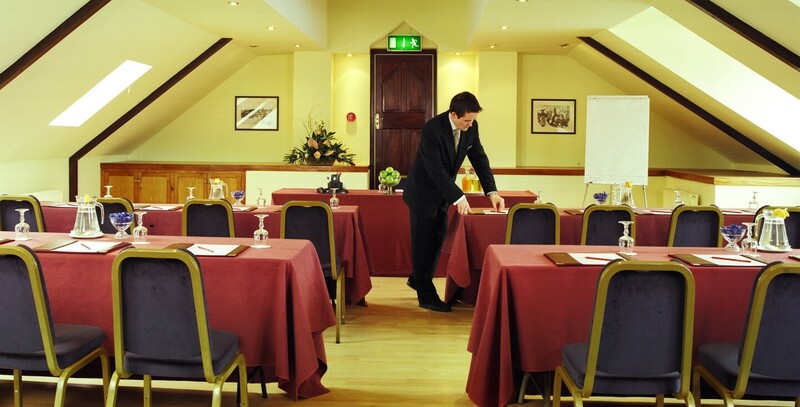 Please contact events@connemaracoasthotel.ie or call us today at 091 591208 and ask for the events team. The Marino Room is a multi-purpose space that has direct access outside to the car park and is capable of being utilized for seminars and meetings for up to 25 delegates depending on the required set up.